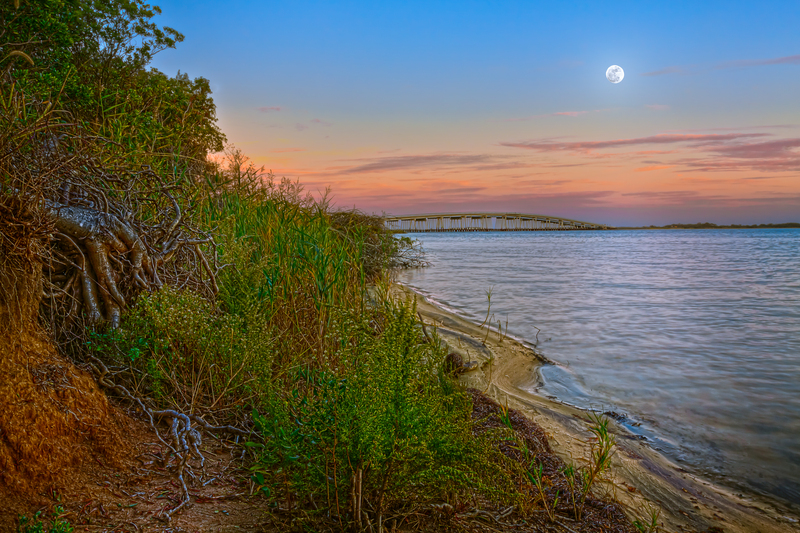 Moonrise and sunset from a Bank On The Bay along the Sinepuxent Bay in Maryland. The Verrazano Bridge, off in the distance, connects Assateague Island to the mainland. HDRi from three exposures with a 2 .ev spacing.